When you visit Thailand, you may or may not be surprised by the number of stray dogs that roam the streets. Dogs that live on the street in Thailand have a very hard life, there is little or no food, there is no shelter and they run a very high risk of contracting an illness, being injured, or both. Now, a dog shelter in Chiang Mai is hoping to change this for the better by providing free veterinary care to street and temple dogs in this region as well as finding permanent homes for these street dogs. 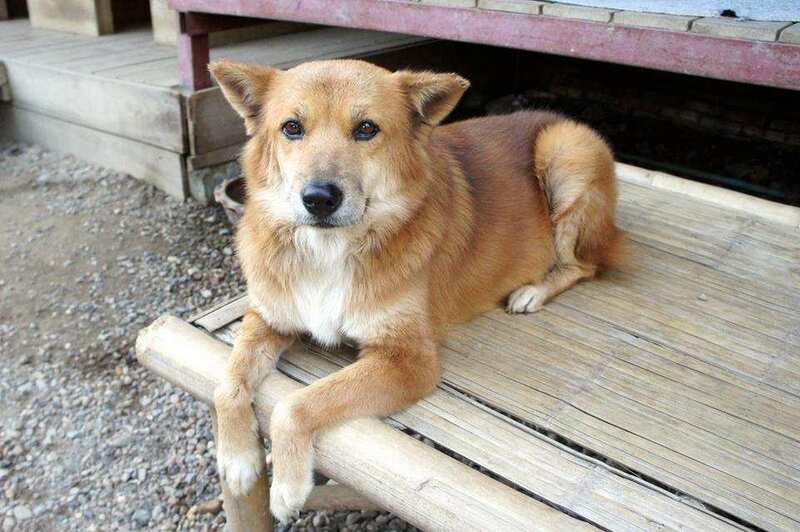 After being made aware of the very real threat of closure to the Chiang Mai shelter, Dorset-based WVS (Worldwide Veterinary Service) stepped in to help the shelter out and save the future of the dogs based at this shelter, who were in severe jeopardy. In 2015, the UK organisation took over the running of the shelter and also set up a dedicated International Training Centre (ITC) to help treat the animals of Chiang Mai with free veterinary care as well as providing veterinary training to Thai vets. The opportunity to further develop their animal welfare offering in this region, whilst offering a lifeline to the street and temple dogs of Chiang Mai was too good to miss, and the organisation knew it could ultimately save and transform the lives of many of Thailand's stray dogs. Many of the dogs that are brought to the shelter have been appallingly mistreated or are suffering from illness or severe injuries and require immediate veterinary care, which is conducted at the ITC next door to the shelter. The veterinary centre works hard to improve animal welfare standards and proactively implements ABC (Animal Birth Control) programmes where they provide spay and neutering clinics which prevents even more at risk animals from being born. Spaying and neutering combats animal overpopulation and alleviates animal suffering. Once a dog has recovered, they are taken to the dog shelter located next door where the team will care them for until a home can be found for them. Finding the perfect home for these dogs is key and the team visits the prospective owners’ home to assess suitability for rehoming. The team also provide guidance and training to owners taking on a shelter dog and also provides follow up support and guidance once the dog has been rehomed. As well as finding homes for the dogs, the team also provides on-going care and enrichment for the dogs on a daily basis, until they find their ‘forever home’. Since WVS took over the shelter in 2015, they have rehomed over 80 dogs in the local area. Lamut was found abandoned about 2 months ago and was rescued by the shelter. She was suffering from severe mange and had almost no hair! She had contracted eye infections in both of her eyes as well. Lamut received weekly veterinary treatment by the WVS vets and now looks like a completely different dog, as you can see below. We are very happy to share that Lamut has found a lovely home and is settling in perfectly. Bryan had suffered severe injuries to his head and leg from a suspected car accident. The veterinary team treated his injuries with manuka honey and we are pleased to report that Bryan has made a full recovery, as you can see below. Sweetpea was rescued from an area where her life was in constant danger from being attacked by other dogs. Sweetpea had received a severe injury to her right front leg as well as bites all over her body. After WVS vets examined her, the only option was to amputate her badly injured leg and to treat the bites. Sweetpea made a full recovery, as you can see below, and within a day was running around happily on her three legs. Sheba was a street dog and was suffering from a horrible skin condition and has previously contracted parvo. She received treatment at the ITC and the dog shelter and has made a full recovery. She has also been rehomed. Meatball was suffering from infected bite wounds and mange. The vet team provided him with daily treatment over a period of 5 weeks and their hard work paid off as he has made a full recovery, as you can see below. For the dogs that are not immediately suitable to be rehomed, there is ‘New Hope’, an area just 10 minutes away from the ITC and shelter. The area is for dogs with behavioural issues and gives them more space. A behaviourist is also on hand to work with the dogs, equipping them with more life skills to take forward and helping them to find a new home. Whilst animal lovers in the UK can’t adopt one of these dogs, they can support the dogs’ care - of which there are 4 fantastic dogs available.